Health fairs will be held in Juneau on October 23 and in Anchorage on October 29 and 30. Please note that unlike past events, pre-registration is required and closes on Wednesday before the fair. These events are open to all AlaskaCare Health Plan members and dependents who are 18 and older. 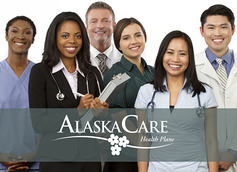 AlaskaCare members have an opportunity to receive a variety of health screenings free of charge. October is Breast Cancer Awareness Month, an annual campaign to increase awareness of the disease. Do you have an early detection plan? 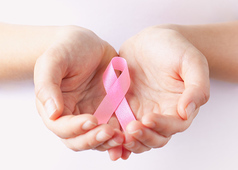 The National Breast Cancer Foundation has educational resources to help you make a plan, encourage others to do the same, as well as additional information, including how to help provide mammograms for women in need. 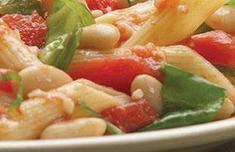 Greens, cannellini beans and tomatoes are tossed with whole wheat pasta in this healthy Tuscan-style pasta dish. This recipe includes escarole, which is a hearty, nutrient-rich green, but you can substitute other leafy greens such as chard, collards, kale or spinach.